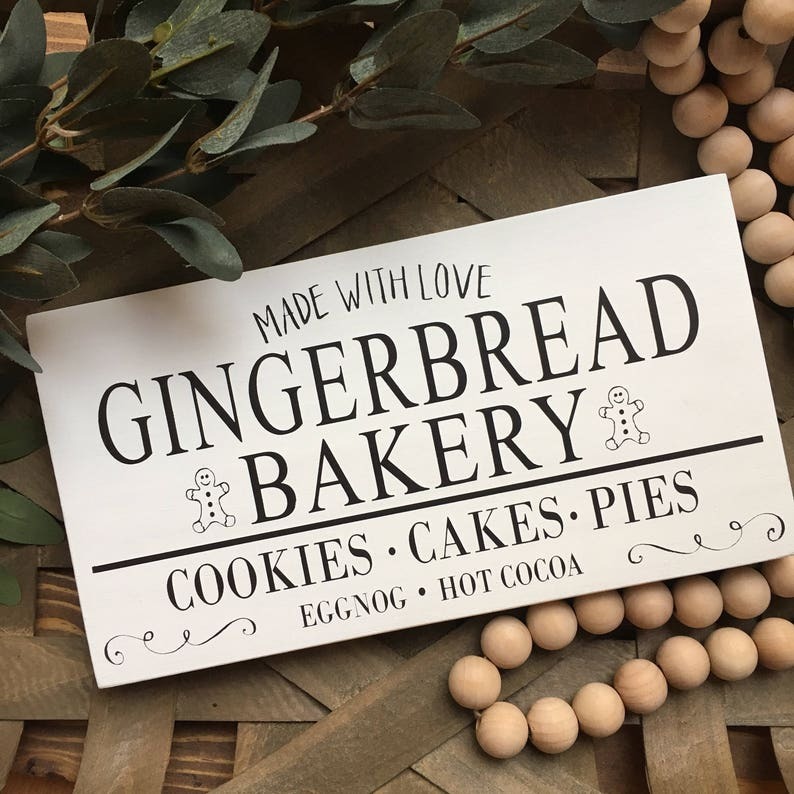 One of the best smells of Christmas is gingerbread. 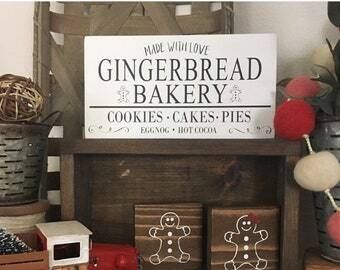 This sign will go perfectly with your Christmas or holiday decor. The sign measures at 5"x10" and it's made out of pine wood. The sign has been painted with white acrylic paint and the design has been painted with black acrylic paint. The sign has a coat of polyurethane for protection.